As well as being a teacher and educational researcher, I have also been involved in the business community (in my spare time!) for over 20 years. In the first instance, this was to try to connect university researchers with business and industry. However, I am now the President of one of Australia's leading business organisations, the New South Wales Business Chamber (NSWBC). My background in education has recently aligned strongly with a key initiative of the Chamber to bring together varied interest groups to consider reform in school education. As President of this organisation, I was involved in the launch today of a bold initiative that seeks to help unite teachers, parents, educational authorities, researchers and government to reform school education. We feel strongly about this, because we live in a world that is changing rapidly, and know that education is critical as we face these changes. New forms of employment are emerging, and once common occupations are disappearing. As well, technology is disrupting every area of life creating challenges to our previous understanding of the nature of work. Some jobs will disappear completely as artificial intelligence enables computers and robots to take over occupations and change others. Our changing world requires innovation in the education of our children. Our report draws on varied parties and was launched today in Sydney. 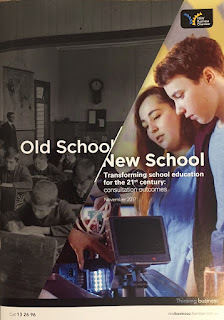 It is titled 'Old School / New School' and can be downloaded HERE. 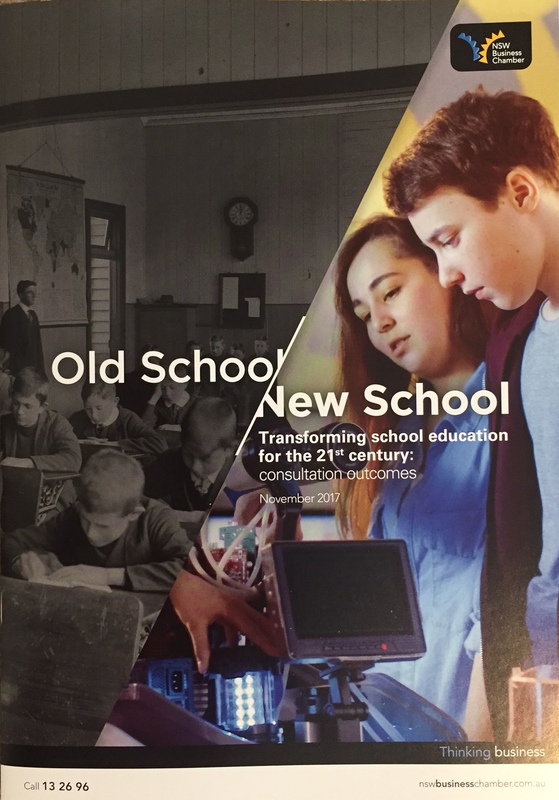 Take the very best of our 'Old School' system that has served us well for many decades and combine it with new world thinking to help the next wave of young people take their place in the world. The way young people learn is changing, and new ways of teaching are emerging. We want to take the very best of our Old School system and combine it with new world thinking to help the next wave of young people flourish. For key policy makers, this requires them to find better ways to support teachers, principals and industry to create the right spaces, choices and career opportunities for the next generation of young people. For the business community, this is about creating workplaces that foster innovation and life-long learning. Other speakers at the launch today included our CEO Stephen Cartwright, Eddie Woo a well-known maths teacher and YouTube star (WooTube), Julie Sonnemann (Grattan Institute) and the Minister of Education Rob Stokes. Architects - establish education policy, curriculum frameworks and assessment frameworks. They include education authorities, education councils and authorities, employers and business associations. Builders - deliver learning experiences and develop learners. They include teachers, parents, principals, parent and community groups, professional associations, universities. Clients - are the end users of the education system. These include students, families, employers, and universities. Pilot proven teaching and learning approaches across multiple schools at once. Publish data tracking student progress and outcomes post school. Recognise teachers and support their development through professional learning hubs. Ensure every child in every school has support services they need to learn and thrive, including careers advice and mentoring for high risk students. Integrate and measure enterprise skills from Year 9 on. The NSW Business Chamber is also seeking your ideas. We want your varied perspectives, key ideas, insights and feedback so that, together, we can build the New School system of the future. I want to encourage you to go online, visit our site and become part of this initiative. The purpose is NOT for business to try to tell schools and educators what needs to be done. Rather, we want to open up dialogue between all key stakeholders for the benefit of our students, teachers and the educational future of our nation. Please visit our Old School / New School and become part of this collaboration. Apologies to my readers for my infrequent posts in recent months, there has been too much competition for my time. 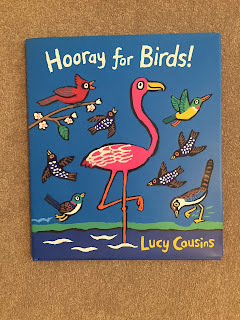 This is a catch-up post in which I will offer quick reviews of 22 picture books that I've been sent for review. As you would know, picture books can be in varied genres and have different purposes. I've grouped these into three groups, books that: a) 'Teach and tell', b) 'Teach and 'tell' about the human condition, and those that c) 'tell' great stories. I hope you like the books I have selected. Books in this first category are factual in nature but use a variety of genres, including many that are narrative in form. 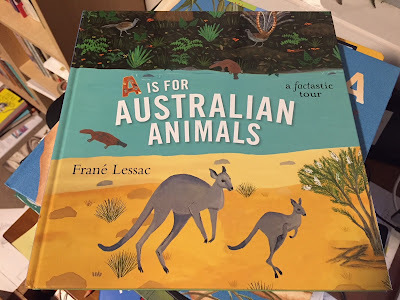 If you haven't come across Frané Lessac before, you must correct this significant gap in your experience of children's literature. She is a U.S born author, illustrator and painter who currently lives and works in Western Australia. She has published over 40 books for children and won numerous awards for her illustrations. Don't assume that this is a simple alphabet book. While it adopts this form, this is a book that will deepen children's knowledge of some of Australia's most amazing animals. Each letter has one to three unique animals. 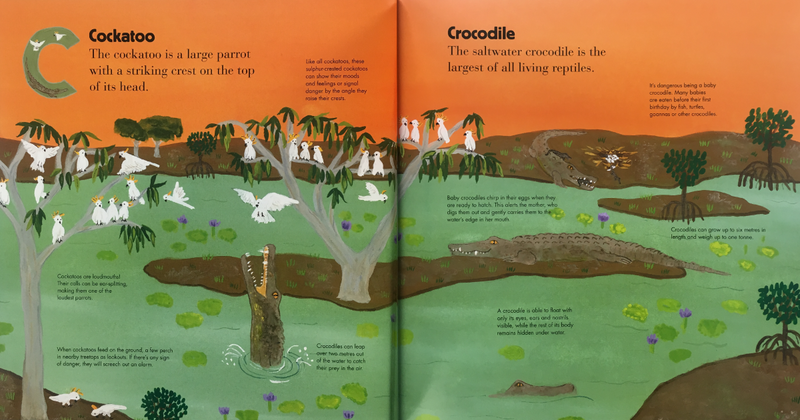 Each has multiple illustrations with an introduction to each animal in larger font and then short paragraphs associated with separate illustrations. Every page has a depth of information in the varied texts and gorgeous illustrations that use the rich colours of the Australian landscape. 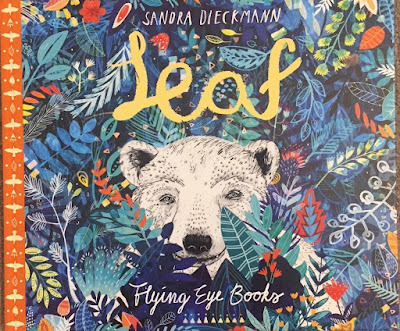 A stunning book with carefully crafted text and stunning illustrations with a riot of colour and detail. When a young male koala outgrows his mother's pouch, it's time to find a new home for himself — braving perils and adventures along the way. In a high tree fork, a gray ball unfurls. Koala seeks his mother's milk, but for the first time, she won't let him into her pouch. It's time for Koala to make his own way in the world. Rival koalas, fierce storms, and frightening snakes force Koala to keep moving — until he finds a safe place to call his own. 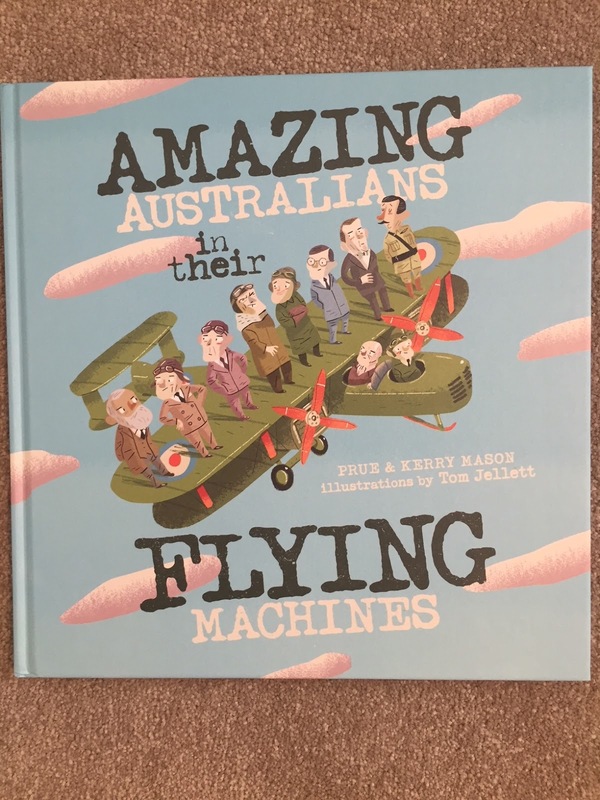 This is a wonderful book from a great Australian author and a legendary illustrator. Children can read the story of a young koala growing up in the world. At the same time, they can learn a lot about this rare marsupial. A wonderful book for readers (or 'listeners') aged 4-7 years. Lucy Cousins should be well known as the creator of 'Maisy' and the same vibrant colours and amazingly simply images that 'jump' off the page at you, will be found in this book. But children can also learn about the birds displayed. The 'peck, peck, peck' of the woodpecker, the long neck of the swan, 'swooping' starlings, the display of the flycatcher, not to mention the long legs of the stork and much more. 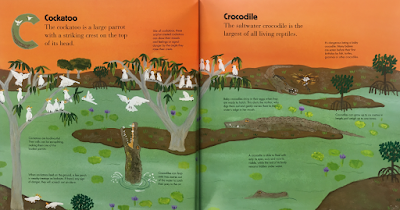 A stunning book for children aged 1-5 years. This is part of Owen Davey's bestselling series. Did you know that the fishing cat has partially webbed paws for catching fish? Or that pumas can leap over 15 feet into trees? 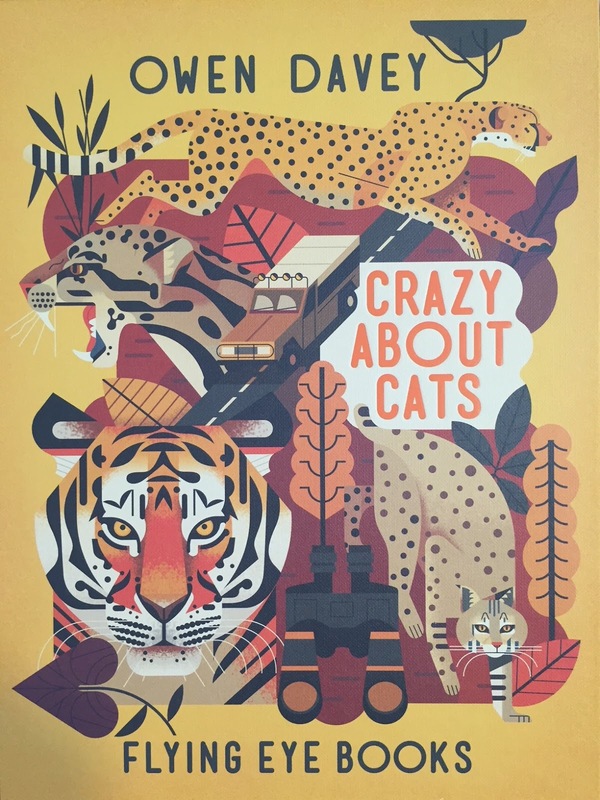 There are roughly 38 species of cats today, each one superbly adapted to their environment - whether that be in the rainforest or the desert! I have previously reviewed 'Smart About Sharks'. But your children will enjoy 'Mad About Monkeys' and many more books by Owen Davey. I love the almost geometric nature of the images, the beautifully toned colours and the multi-layered nature of the texts. Stunning work. Wonderful for children aged 4-8 years. Everyone loves the warm sunshine—except the lonely raincloud. No one wants to be his friend! But one day, he stumbles across a grumpy little florist . . . could she be looking for a friend too? 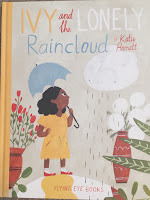 In this charming tale, a solitary raincloud finds a way to make a sad little girl happy again, by using the very thing that most people dislike about him—rain! 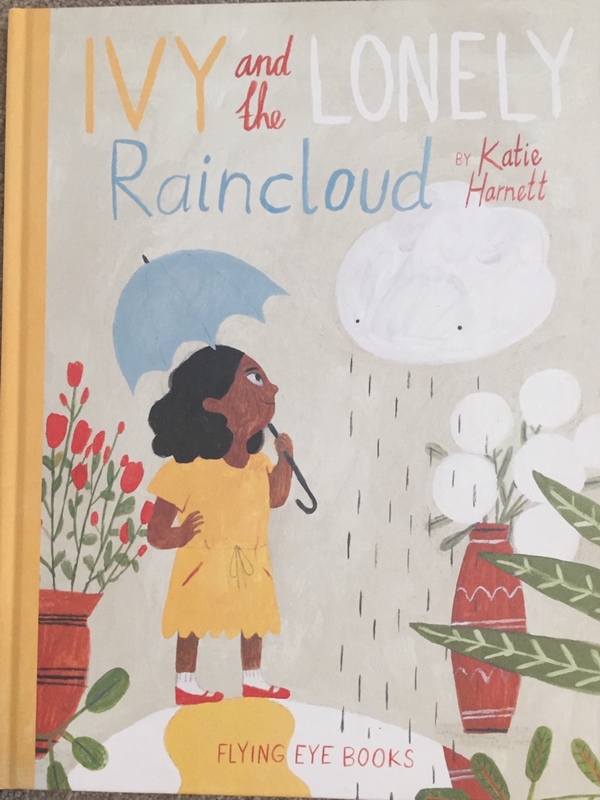 This wonderfully simple picture book by this outstanding author and illustrator uses a grumpy girl and a lone cloud to reflect on loneliness and anger. At one level, it's a simple fun story, and yet at another, it offers an insight into our moods, despondency and how we can as quickly leave our moods behind us as we embraced them in the first place. Katie Harnett received the Bologna Children’s Book Fair ARS IN FABULA Grant Award in 2015, and her work was selected to be exhibited twice at The Illustrators Exhibition at the Bologna Book Fair. Imagine what it was like to travel to far-off places before there were aeroplanes. For early 20th-century Australian, it could take days, weeks, or months just to get where they were going. 'Amazing Australians in Their Flying Machines' tells the stories of ten brave Australians, including the youngest licensed woman pilot Nancy Bird, who took to the skies and changed the face of aviation forever. This is a brilliant book. It is a wonderful chronicle of exploration in flight. It begins with the life story of Dr William Bland, who in 1814 arrived as a convict and by the 1850s was drawing designs for amazing flying machines. 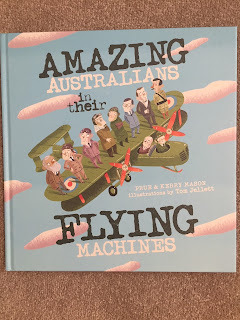 And of course, Kingsford Smith, Nancy Bird and many others are featured as are the machines and adventures along the way. It is beautifully designed and illustrated by Tom Jellett. A great book for children aged 5-8 years. Meet Triangle. He is going to play a sneaky trick on his friend, Square. 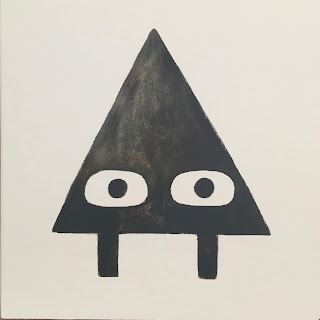 Or so Triangle thinks. . . . With this first tale in a new trilogy, partners in crime Mac Barnett and Jon Klassen will have readers wondering just who they can trust in a richly imagined world of shapes. Visually stunning and full of wry humor, here is a perfectly paced treat that could come only from the minds of two of today's most irreverent — and talented — picture book creators. Multi-award-winning, New York Times best-selling duo Mac Barnett and Jon Klassen work again on this hilarious story in image and just a 'few' words. Some sneaky shapes try to outwit one another. I just love their work. Geometry has never been so entertaining!! In this book, almost every question a child aged 3-8 could ask has been answered in words and illustrations. With delightful 'retro images' (circa 1950) the most fundamental of science, technology and engineering questions are asked. How does flipping a switch on the wall make the lights come on? Where does the clean water that flows out of the faucet come from? What is used to keep a home warm? Travel beyond the walls and under the floors of a house to find out more about the electricity, water, and natural gas that make your home work — and find out how you can do your part to save energy and preserve these resources. This beautiful book will delight children aged 4-8 years. At first glance there’s nothing much to see. But the rock pools are full of secrets. Nestling between rocks ... Hiding in the seaweed ... What creatures will you find? Discover their secrets in this flap book. Features beautiful linocut artwork by award-winning author/illustrator Narelle Oliver. Includes big, easy-to-use flaps and a glossary of rock pool creatures. I've been a fan of Narelle Oliver's work for some time, and this book doesn't disappoint. 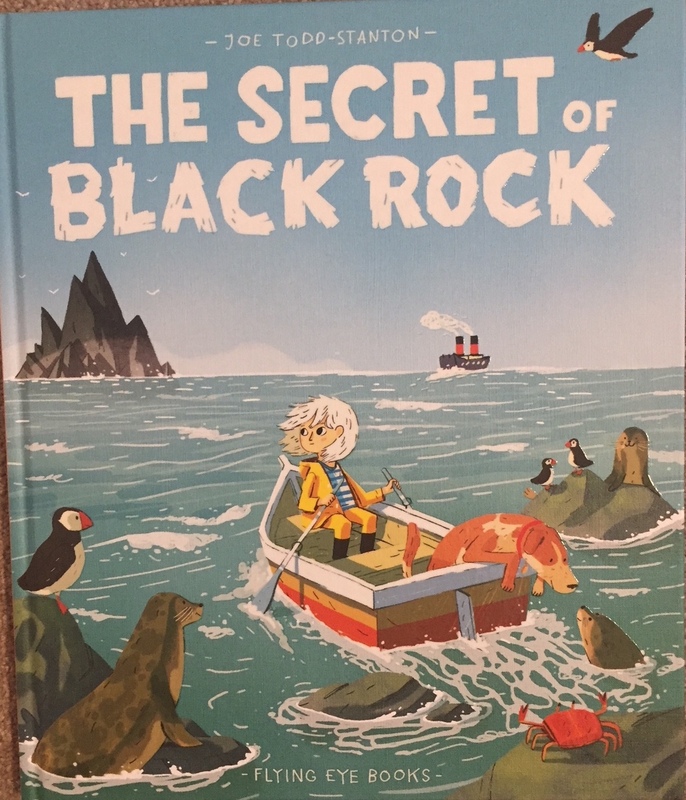 Stunningly illustrated images of the wonders of rock pools, with an innovative book design that allows fold out pages to allow children to scan the detailed images while reading the well-written text that draws readers into an examination of the images. Great book for children aged 3-8 years. In this category, the stories all illuminate some aspect of the deeper human condition, including dementia, problems with reading, and anxiety. When your grandmother can't remember your name, it should be sad, but maybe it is just an opportunity to tell her more often how much you love her. 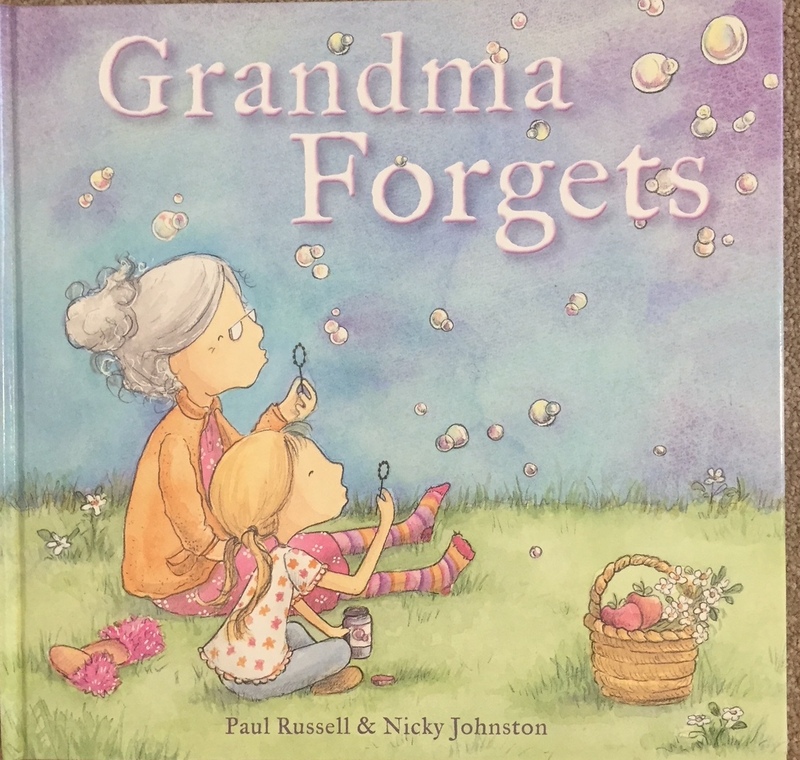 Grandma Forgets is the heart-warming story of a family bound by love as they cope with their grandma's dementia. Over the years, the little girl has built up a treasure trove of memories of time spent with Grandma: sausages for Sunday lunch, driving in her sky-blue car to the beach, climbing her apple trees while she baked a delicious apple pie, and her comforting hugs during wild storms. But now, Grandma can't remember those memories. This is a wonderfully warm and engaging story that deals with the depth of love within families and how a shared history of memories and relationship can help families to deal with the challenges of Dementia. This is a topic overlooked by children's literature but memory loss will be a part of the lives of many children and grandchildren as they grow up, and also when they grow old themselves. Well suited as a read aloud for children aged 5-8 years. 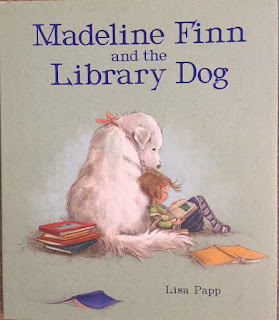 I wrote a post about as Pets as Therapy for struggling readers some time ago, and this wonderful book picks up on this wonderful idea in this delightful book. Madeline Finn doesn't like to read. But she covets a gold star from her teacher, but she knows that these are for good readers. How can she ever earn one? This is a beautifully illustrated book with a simple but compelling text. 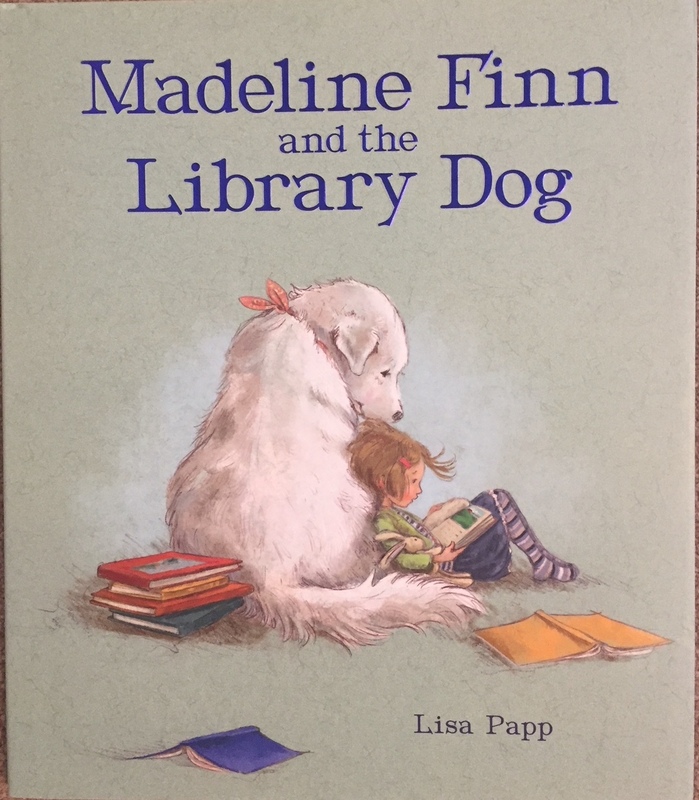 Lisa Papp has written an inspiring book for every struggling reader who ever wanted that gold star but couldn't see how to earn it. Perfect book for children aged 4-7 years. Also, a great read aloud. This book almost made me cry. It is the sweetest tale written with such sensitivity. 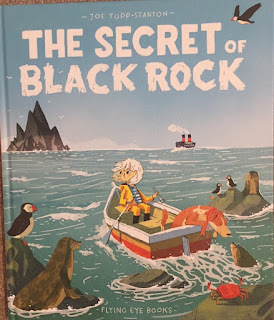 It is without a doubt one of the stand out picture books of the year for me. 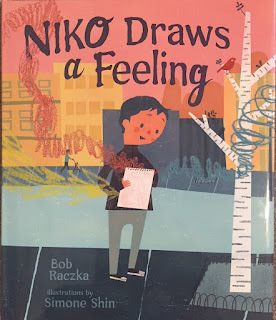 Niko constantly draws his world in 'scribbles' and colour, shapes and lines. Bright coloured crayons are his tool of choice, and his work is constant. As he sees things that inspire him, he draws: a mother bird in her nest, the 'ring-a-ling' of an ice cream truck, ideas that 'flit through the open window like a butterfly' ... But to most his drawing seems to be scribble, until but one day things change. No-one seems to understand him or his drawings. He tapes many of them to his walls. One day, as he looks in the mirror he draws another one of himself, and tapes it on the back of his door where no-one can see it. But one day, a girl called Iris moves in next door, and she sees his pad and crayons. She asks him do you draw? When he says yes, she says "Can I see them?" Niko says "You might not like them." "But I might" Iris answers. He shows her and she stumbles across his drawing behind the door. "Wow" she says, " ... you must have been sad when you made this picture." And "Suddenly, Niko felt a window opening in his brain." 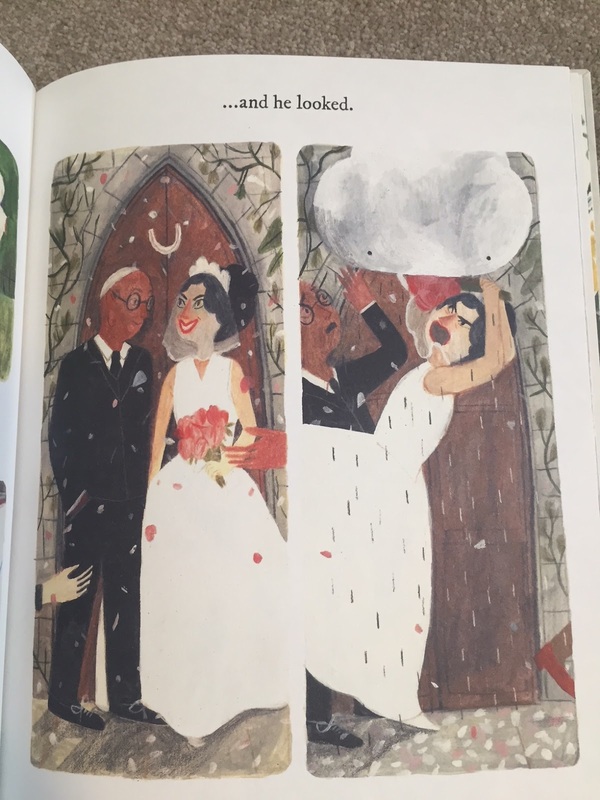 This is a beautiful and powerful story about loneliness, isolation, and our need for love and understanding, as well as the place that drawing can play in self-expression. 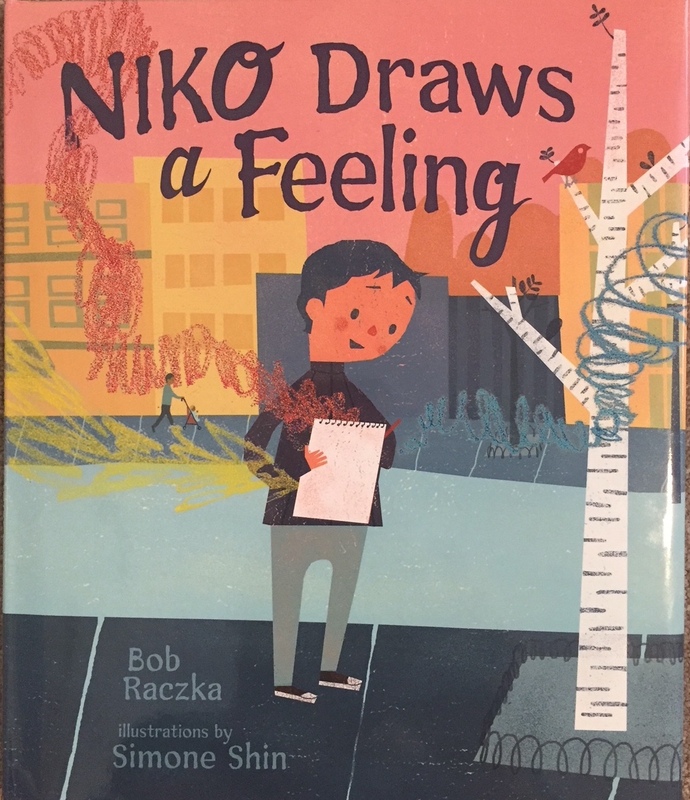 This is a wonderful book from author Bob Raczka, who has written many books on art and poetry. The illustrator Simone Shin has been drawing like Niko since she was a small child. 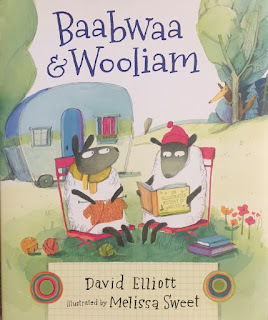 A great read aloud book for children aged 3-7. This category includes books that primarily set out to present engaging narratives for young readers. This wonderful writer and illustrator team has created a special fairy tale about a little girl with a new baby brother. There are many books that give traditional story lines a twist for effect. So many, that it's hard to make one stand out. 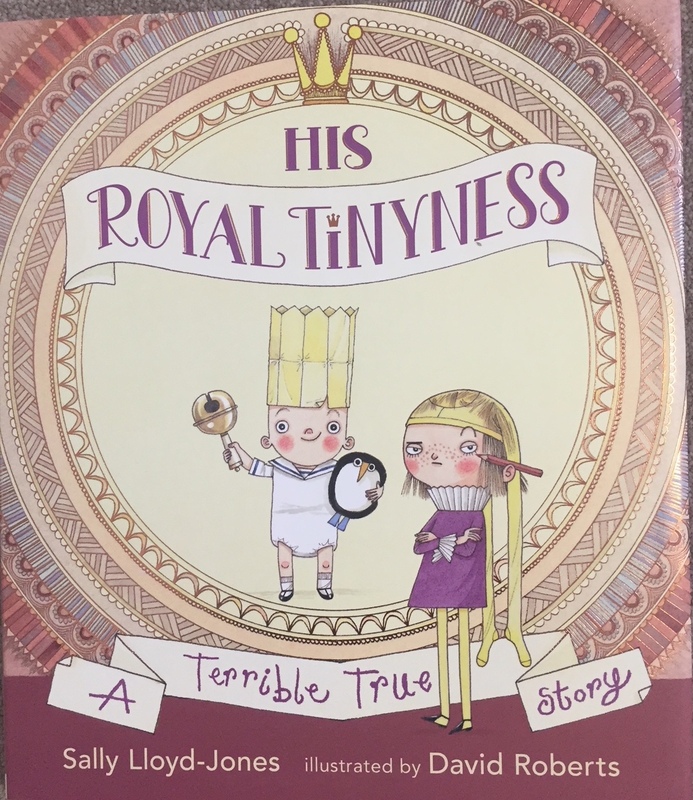 This delightful tale, is so outrageously over the top in its caricature of the bratty baby prince who pushes his princess sister Marianna into the background, that it makes its own special contribution to the many fractured fairytales. 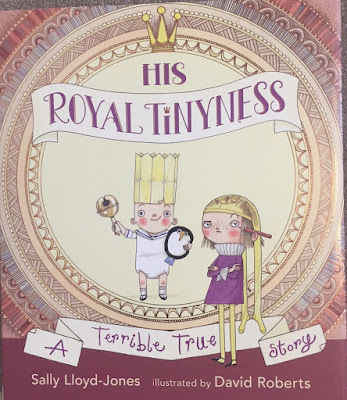 The clever writing, magical illustrations and clever use of absurd words like 'beautifulest', 'ever-so-kindest', 'His Royal Clean-and-sparklyness', and 'His One-and-Only-Spoiltness' make this one stand out. It does help that we have a New York Times best-selling author and Kate Greenaway shortlisted illustrator. This is a 'must-have' in any library and perfect for readers aged 4-8 years. 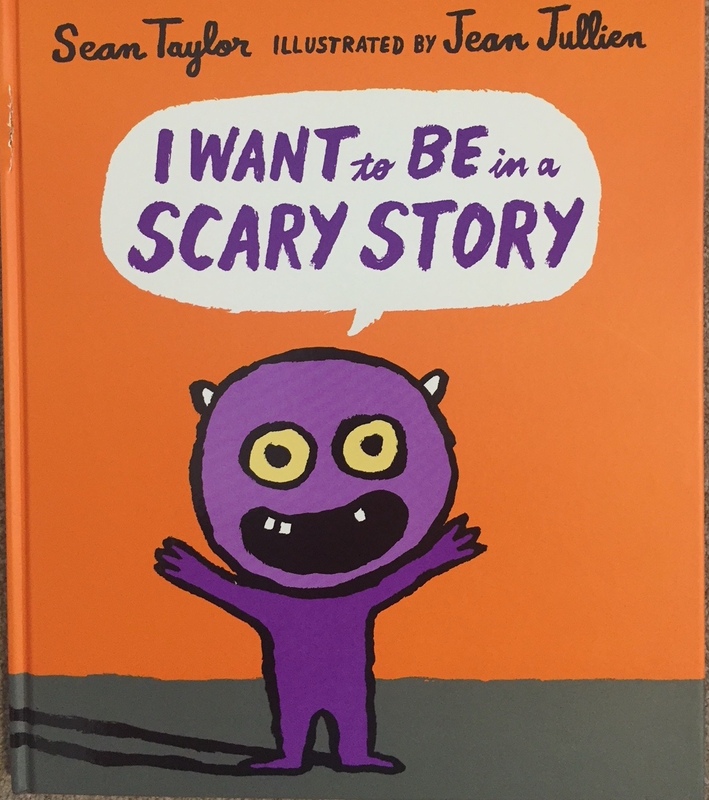 Jean Jullien's bright and dramatic cartoon-like illustrations are ideal for a 'scary' story for young readers. 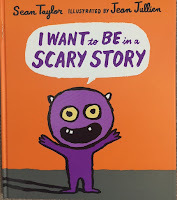 A scary little monster starts his day by declaring that he wants to be in a story! But what sort? And where will it be set? Perhaps in a dark and scary forest. But is this story just a little too scary for our brave central character? Is this what he had in mind? Perhaps HE should be doing the scaring?! A delightful and funny story by a great team. Great readalong book for 4-6 year olds. 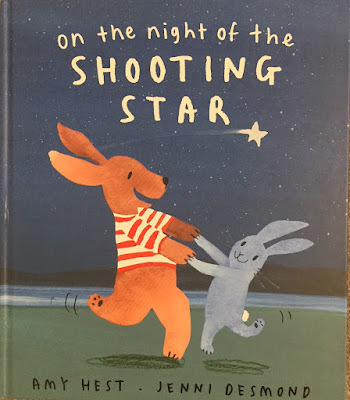 Bunny and Dog are the most delightful central characters, Jeni Desmonds illustrations give them unmistakable personalities that make them so easy to love. While Amy Hest's text is lyrical and warm, that gives depth to each character and the flowering of a relationship before our eyes. A special book that readers will enjoy as a class read aloud, or at bedtime when curled up for the night under the covers, just like Bunny and Dog each night. Perfect for readers aged 3-7 years. And so, begins a delightful tale of a young rhinoceros who isn't simply content to wallow in the mud. 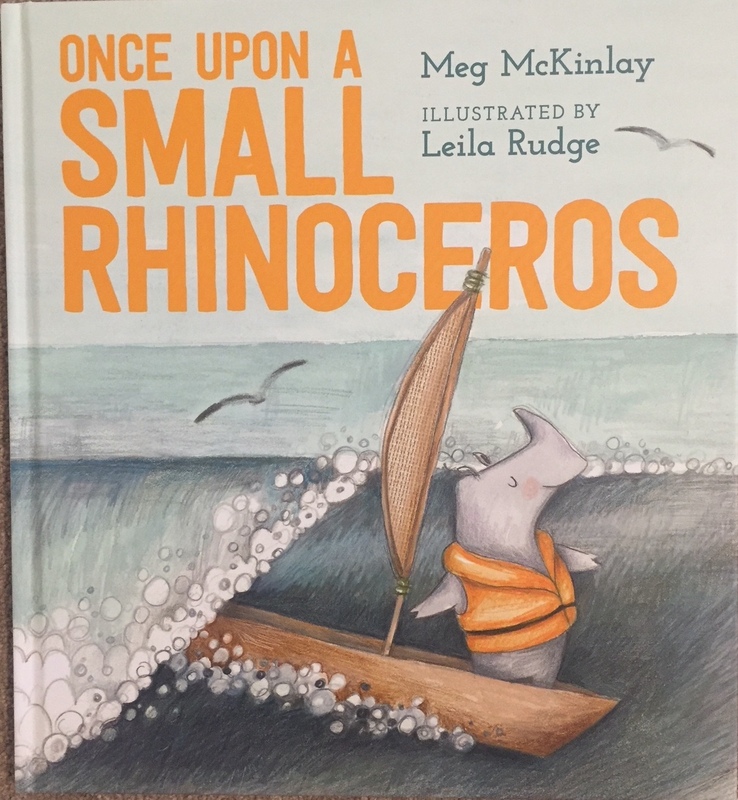 This small rhino dreams of what lies beyond, and one day she decides to build a boat and sail away. This is a book for young dreamers, who aren't content simply to stay close to the ordinary and the normal. 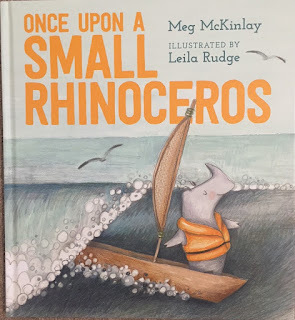 This is a story for young adventurers just like this small rhinoceros. 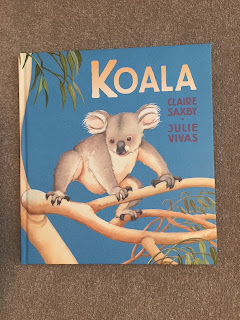 A wonderful picture book from the sensational Australian award-winning picture that gave us 'No Bears'. "Crow saw it first. The strange white creature, carried upon the dark waves toward the shore. It was unlike anything the animals of the wild wood had seen before. It made its home in the old, overgrown cave on the hill. No one had lived there for as long as they could remember, and no one dared approach now." Wonderful! Every library should have this book. Ideal as a shared book for young readers (4-7 years), or as individual reading for 6-8 year olds. Baabwaa is a sheep who loves to knit. Wooliam is a sheep who loves to read. It sounds a bit boring, but they like it. Then, quite unexpectedly, a third sheep shows up. A funny-looking sheep who wears a tattered wool coat and has long, dreadfully decaying teeth. Wooliam, being well-read, recognizes their new acquaintance: the Wolf in Sheep's Clothing! The wolf is so flattered to discover his literary reputation precedes him that he stops trying to eat Baabwaa and Wooliam. And a discovery by the sheep turns the encounter into an unexpected friendship. This is a very funny book that young readers will find entertaining. Melissa Sweet's slightly caricatured illustrations in line and watercolour, will captivate young readers. Each image will draw readers in, and will make it hard to turn each page, until they have pondered every detail. With strong themes that focus on friendship and even dental hygiene for Baabwaa the sneaky fox, this book will be a great shared book experience for children aged 4-7, or for personal reading for 6-8 year olds. Erin loves to lie on the jetty, looking for the weirdest fish in the sea—the weirder, the better! And she knows the best ones must be further out, where her mum won't let her go . . . This is a wonderful mystery tale for young readers, with simple and economical text and rich full colour watercolour plates that have a slight retro feel. The illustrations are very special offering echoes of some picture books from the 1940s and 1950s like 'The Little Island' by Golden MacDonald & illustrated by Leonard Weisgard (Caldecott Award winner in 1946). And the text has mystery and a just ending that is heart-warming. 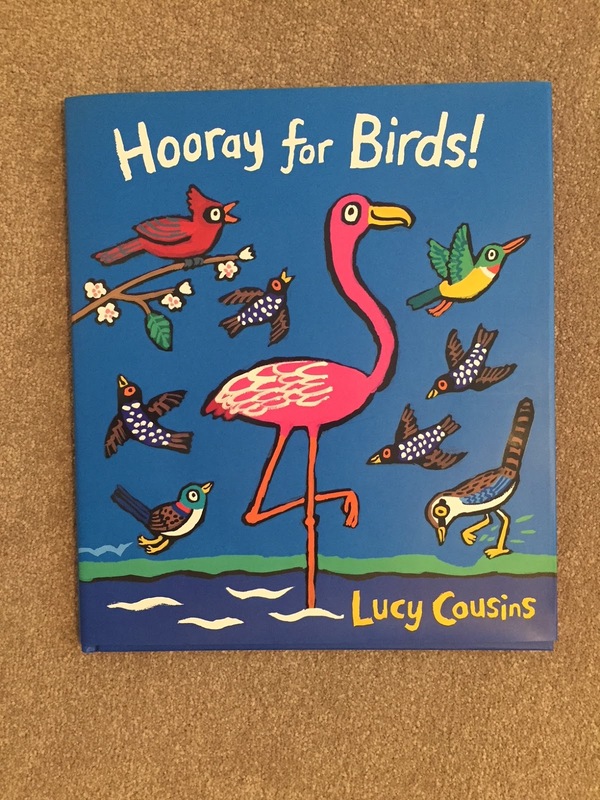 A delightful book for readers aged 5-8 years. Finn, a young boy, is lonely. Puss, a cat, is lost. Then Finn and Puss meet. 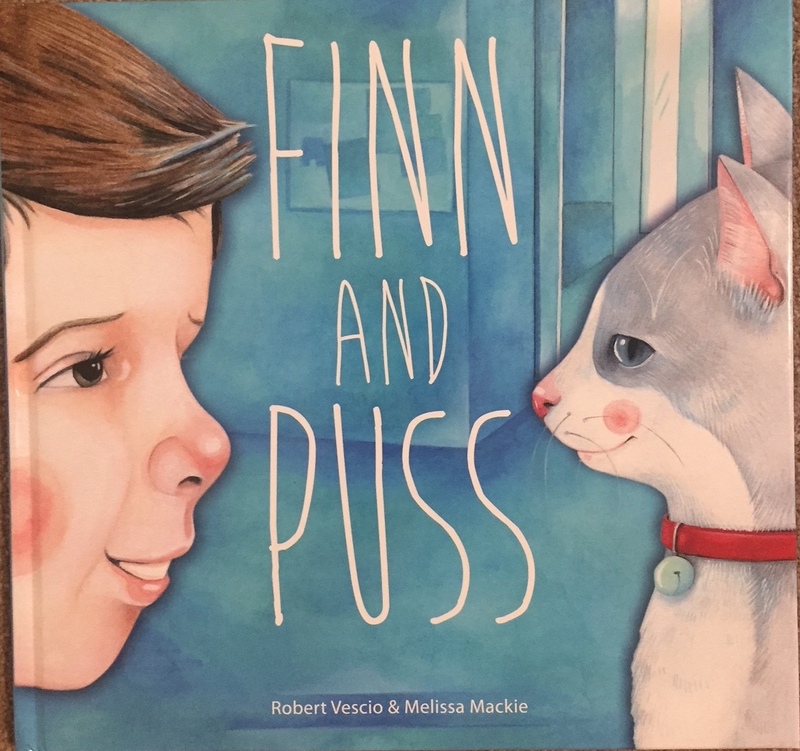 Suddenly Finn isn’t lonely anymore, and Puss seems quite happy to be with Finn, too. This wonderful story has just 76 words, soft watercolour images, and a simplicity that leaves a lot of space for the imaginations of young readers as it explores hope, loneliness, honesty, friendship and how to make right choices. A beautiful book that would make a great shared book for 5-6 year old class groups or wonderful shared reading for children aged 3-7 years.